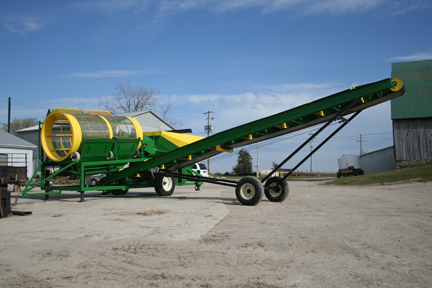 Sittler now offers the convenience of collector and stacking conveyors to handle and carry screened product or overs. 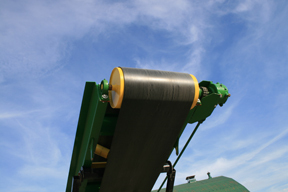 The stacking conveyor is independently operated by a 15 hp Kohler gas motor and available 24 inches wide by 34 feet long. 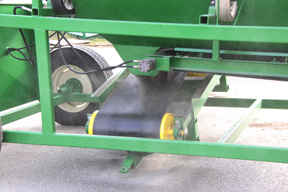 The belt is made of black rubber supported by a formed steel U-trough with a small hopper at the bottom, an adjustable material scraper is included. 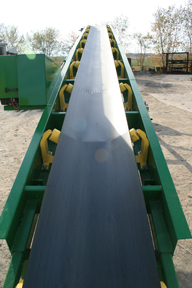 The conveyor has a clearance of 16 feet with a maximum belt speed of 320 feet/minute. 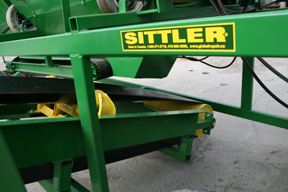 Steel tubing with tires 9.5 L x 15 tireson 2- 4000 spindles and supported by 8 x 4", 35 degree troughing idlers. 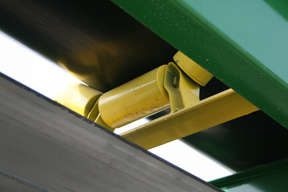 Warranty on conveyors is one year with the exception of the belts and speed clutch, although an extra speed clutch is included with the conveyor. Custom lengths available. 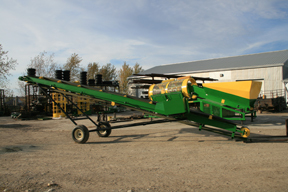 Further details are available through Global Repair.